This booklet measures 5 1/4" x 4" with 31 pages. 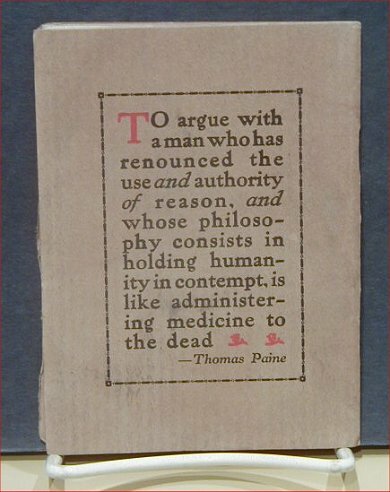 This preachment was written by EH for the Thomas Paine National Historic Association. 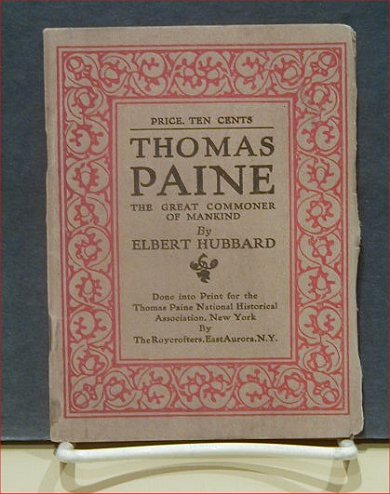 Thomas Paine 1737–1809, was a pamphleteer, patriot, and dreamer who is often remebered for the statement,. "These are the times that try men's souls." This simple quotation from Thomas Paine's The Crisis not only describes the beginnings of the American Revolution, but also the life of Paine himself. Throughout most of his life, he was a failure, living off the gratitude and generosity of others, but his writings helped inspire a nation. 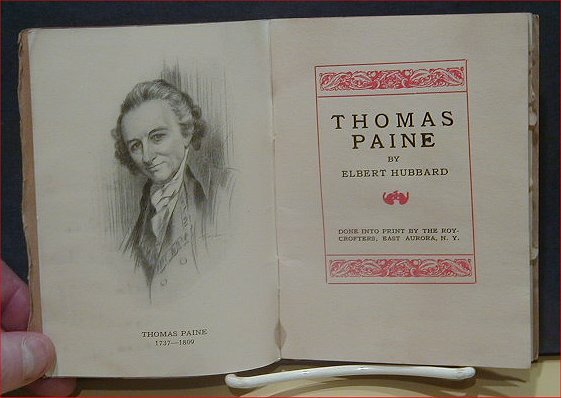 He communicated the ideas of the Revolution to common farmers as easily as to intellectuals, creating prose that stirred the hearts of the fledgling United States. He had a grand vision for society: he was staunchly anti-slavery, and he was one of the first to advocate a world peace organization and social security for the poor and elderly. But his radical views on religion would destroy his success, and by the end of his life, only a handful of people attended his funeral.